The STI_GL300 Real-Time GPS Tracker (3 Pack) lets you track several people, vehicles or moving assets at the same time. All three trackers come with a Wi-Fi connection, so you can monitor the location of your targets in real-time on your smartphone, tablet or computer. This exclusive bundle is perfect for small business owners or concerned parents with more than two children. Track multiple targets at once with the STI_GL300 Real-Time GPS Tracker (3 Pack). Sometimes two GPS trackers aren’t enough. If you need to track more than two people, vehicles, or assets at the same time, the STI_GL300 Real-Time GPS Tracker (3 Pack) has you covered. All three trackers record accurate GPS tracking information in real-time. You can give one to each of your children, attach them to all three company cars, or monitor several shipments at once. All three STI_GL300s will send you an update on your smartphone, tablet or computer as soon as your subjects move. All three devices live-stream the information via Google Maps on the included app, giving you a clear picture of where your subjects are in real-time. Regardless of what or whom you’re tracking, the STI_GL300 Real-Time GPS Tracker (3 Pack) will always tell you where your subjects are and where they've been. The included app logs information from all three trackers at the same time. 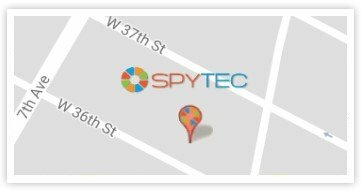 As soon as you login to the app on your smartphone, tablet or computer, all of your tracking data will be in the same spot. You can monitor the location of all three of your targets in just a few seconds. With geofencing, you can change your settings so that you’ll only receive updates when one of your subjects leaves a specific area. Let’s say that your teenage driver is out with their friends late at night. You can make sure that they stay close to home by setting up a geofence around your neighborhood. As soon as your teenager ventures outside of that region, you’ll receive an immediate update. With three STI_GL300 Real-Time GPS Trackers, you can keep tabs on multiple moving targets at once. You can make sure that all of your loved ones are safe, or that all three company cars are in the right spot. Monitor the location of the things and people that you care about most with the STI_GL300 Real-Time GPS Tracker (3 Pack).